These fun emoticons are perfect for sharing with other sports fans on FB. Root your favorite team to victory. Show your nationalistic pride when you post one of these images to your timeline. 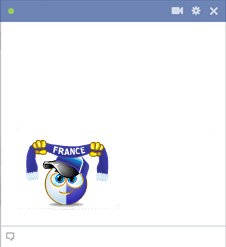 You can also enjoy a friendly rivalry with friends when you post an emoticon to your pals' Facebook timelines.